If you haven’t fished before, you don’t know what you’re missing. If you did, you know that not only does it bring you closer to nature, but there’s the thrill of the catch. Imagine standing on the bank of a stream on a beautiful day, your rod bending under the weight of a good catch. This one’s a fighter and you take your time, allowing the fish to tire itself out before reeling it to shore. When you finally land it, it’s a great feeling and one you’ll never know until you give fishing a try. 1. Ask a family member or friend who is an experienced angler to take you along the next time they go fishing – they will be thrilled to have a new fishing buddy. 2. Research online. There are hundreds of Websites with instructions on fishing gear, bait, and fishing tips. 3. Go to your local library and check out how-to fishing books and magazines. 4. Check your local conservation or wildlife service. They often hold a fishing day where beginners can learn the basics of fishing. 5. If you go on vacation in fishing country, check with local fishing stores. They often know local professionals who will teach you how to fish. Anytime is a good time to fish; you never know what you might catch. Some species are more active near dawn and dusk when they are feeding, while others will bite any time of the day. Certain times of the year are best for certain species. Fishing is a pastime you can enjoy all year round. 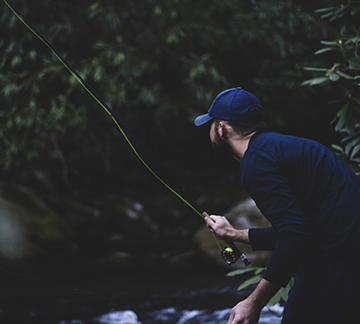 Fishing licenses are required in most places, which you can buy at your town hall, a fishing tackle stores, or conservation and wildlife centers. The cost varies by location. Licenses for children are usually not required. If you want to fish on private property, be sure to get permission from the owner. Otherwise it is trespassing. So you’ve decided to take fishing up as a hobby or sport. You’ll love getting out into the great outdoors and taking in nature as you cast your line and wait for that bite or strike. If you’ve never fished before, you may have no idea how to start your life as a fisherman. Much is learned by trial and error, but there are a few basic things you will need to know. The majority of the world, believe it or not, just fishes with a piece of string and a hook. No weights, fancy lures, poles, or rubber worms. Fishing for sport, on the other hand, has evolved into dozens of distinct methods. As we know it, fishing involves a fishing pole and reel with a baited hook and bobber that you can use while standing on a boat, the shore, or the dock. When the bobber goes under the water that means you have a bite and you should begin to reel in your line. Easy. For something a bit more difficult lose the bobber and tack on a lure, which is any number of small metallic, rubber, plastic, shiny, or insect like attachment with a hook that will attract fish. There are many other types of fishing and what you do often depends on both your location and the type of fish you would like to catch. Deep-sea fishing is generally done from the back of a moving boat. A very strong, thick pole is set or held from the stern and a baited line is dragged along in the water behind the boat. When a fish is on the line, the boat slows and the fisherman reels in the fish. 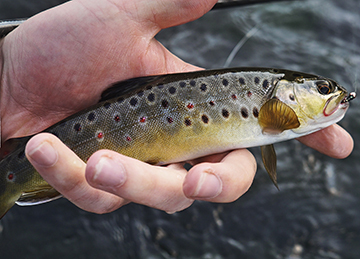 Woodstock Hardware is proud to be a member of the local Ashokan-Pepacton Watershed Chapter of Trout Unlimited. Find out more here. Fly fishing is a growing sport around the world. This method takes a great deal of skill and practice to cast the line, and not the lure, and is often used to catch trout and salmon in rivers and streams. To do the sport you need an artificial fly and a fly rod, both specifically designed for the sport. Spear fishing is a much lesser known method, although indigenous tribes often use some forms. Most spear fishing done for sport is with a small hand held gun, like a cross bow, that shoots a small metal spear. The sport is far more difficult than it appears. What’s the best bait? Worms are the most common bait, while different lures, flies, and rubber worms are strong second. Depending on your location and what the fish like to eat, you may use pieces of fish or meat, shrimp, minnows, dough, insects, and any number of other items. Fly fishing is often used to catch trout and salmon in rivers and streams. Due to the pollution of the world’s waterways, fishing holes are getting smaller and smaller, and almost everyone has some sort of access to fishing nearby. Beginners often choose whatever waterway is closest to their house and are content to fish for not necessarily big or specific fish, but just any fish in general. Most beginners use a standard pole with bobber and worm. Fish ponds stocked with fish that charge a small admission and even provide poles and bait are popular with beginners, although little skill is learned. Advanced anglers are the ones that take trips to fishing spots better than the ones near where they live to catch specific fish. These experts invest heavily in poles and lures and are willing to travel to the ends of the earth for a prized catch. Bass are the fish of choice for most expert anglers. The fish are known for their fight and strength. For deep sea fishing marlin are the top choice and one of the most exciting sporting adventures worldwide. The fish are extremely powerful and may take hours to pull in the boat, often needing several people to help reel in. While many will swear up and down that fishing is simply a game of luck, that’s not entirely true. Luck does play a small part in catching a fish, but to maximize the number and quality of the fish you catch, a certain skill and knowledge of the species and the know how to use the best equipment is necessary. There is more to knowing where and when to catch a fish than one might think. Studying the habitats, life and migration patterns, water currents, and depth and eating habits all affect the amount and quality of the fish you will catch. Anyone can cast a line, but it takes skill and wisdom to improve. This is exactly why local fishermen, who have fished the same waters and often the same few species their entire lives, are so valuable as guides. They know where the fish are going to be, what time of the day they will be biting, at what depths they are, and what your bait should be. Fishing courses, generally for fly-fishing, are often offered by tour operators or pros. These training sessions will teach you properly. You will need some basic equipment for your new pastime. It doesn’t have to be expensive or top of the line. Before you get into a lot of expensive fishing tackle, you will first want to determine if you enjoy the sport. Let’s take a look at some basic fishing tackle. These can be purchased at a store that sells fishing equipment or a sporting goods store for between $35 and $100. Be sure the rod is a length you are comfortable with. Rod length will depend somewhat on your height, but will probably be between 5 and 6 feet in length. Children will need a shorter rod. A rod and reel can be purchased prepackaged in one unit. If you buy this type of package, the reel will already be spun with fishing line. You can also buy the rod and reel separately. 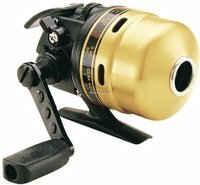 A spinning reel is the best for beginners and it’s best if it is either fiberglass or graphite. These pools are light and make it easy for you to tell when you have a bite. Anglers of all ages have had pride in using the Daiwa Goldcast for years. You will also need bobbers (floats), hooks and sinkers, which are weights that keep your line down to a specified depth. Both hooks and sinkers can be purchased prepackaged in variety packs in your local store. These give you several different sizes of hooks and sinkers so you will be prepared should you need more than one size. When you buy bobbers, buy smaller ones. When fish take the bait, bobbers offer resistance that the fish can feel. The less resistance it feels the better chance that the fish will take the bait. When your bobber goes under the water surface, you will know that a fish is nibbling at your hook. The lure is an important part of every advanced fisherman’s tackle box and is a small rubber, plastic, metallic, or woven item with a hook or multiple hooks that acts as your bait and a magnet for aquatic life. Different fish are attracted by different things: some by bright colors, some by shiny objects that resemble the scales of a fish, and some fake worms and insects. If you’ve had some experience fishing, you might want to try lures, which are artificial bait. Smaller lures are attractive to a wide variety of fish species. It’s best to choose lures between 1/8 and 1/4 ounce size. Use caution when buying lures. Some are made only to catch the cash in your pocketbook. If you need advice about lures, ask a family member or friend who is an experienced angler. It’s best to use live bait when you first begin fishing and give yourself a chance to learn about fish species, bait, and lures. The line on your pole will break. It gets caught on sticks and rocks and snaps because of fish that are too heavy, but most reels have a sufficient amount of line for a long time of fishing. Replacing a line depends more on the type of fishing you intend to do. Lines vary by strength, thickness, and color. 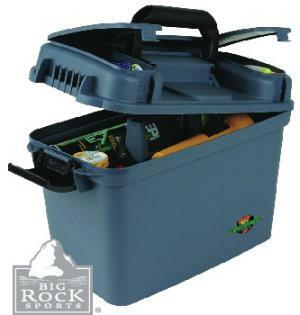 Purchase a fishing tackle box that has compartments for organizing your tackle. This allows you to put your hands on the tackle you need with ease. Your tackle box should be lightweight, waterproof and have latches that will keep the contents secure. 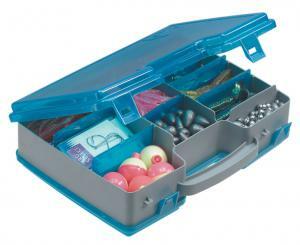 The tackle box is the fishermen’s luggage for his/her tools and accessories. In it he keeps everything he needs to fish other than his pole. 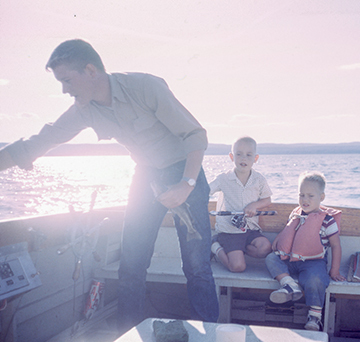 Many tackle boxes have been passed down through generations and are filled with timeless pieces of fishing memories. Needle Nose Pliers Needle nose pliers will assist you in easy removal of the fishhook once you land your fish. Sometimes the fish swallows the bait and the hook. If this happens, needle nose pliers can be a great help in removing the hook. If you plan on taking your catch home and frying it up for dinner, you will need a stringer. This allows you to slip a metal clamp through the fish’s mouth and then through the gill. This is painless for the fish and is a good way of keeping your catch secured so it can’t get away. Landing nets are optional. Some fisherman wouldn’t be without them while others never use them. If you are fishing from the bank of a pond or stream, a net isn’t necessary. If you’ve fishing from a boat, they’re highly recommended. Also, a net allows kids to catch minnows, frogs and tadpoles when they get tired of fishing. This is a good pastime and keeps them busy. They will discover many things about the world while playing with their fishing net. Of course some type of bait will be necessary. If you’re a beginner, night crawlers, also known as dew worms work great. You can buy them at a fishing store or use a flashlight to pick them from the dewy grass in your yard or the compost pile after dark. They are easily stored in the refrigerator, but be sure to put them in a plastic container with some soil and fasten the lid securely. Other baits you can try are mealworms, plastic worms, grubs, cheese balls, bread balls, kernel corn and small chunks of hotdog. More advanced anglers may prefer minnows, crabs, or leeches. Also known as a fillet knife, a blade of a fish knife is pointed and has a sharp edge on one side and a serrated edge on the other. 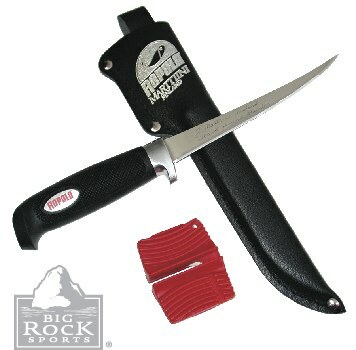 The serrated edge is used for scaling your catch. The sharp edge is used for cleaning and filleting. First Aid Kit This is a necessity for your tackle box. Bandages and a soothing gel or ointment for cuts, scraps and minor injuries should be included. For over 40 years anglers have chosen Panther Martin as their spinner of choice. These classic spinners have proven themselves irresistible to all gamefish. Here’s an excellent choice for short one to two-day fishing excursions. This affordably priced, tow-sided Satchel offers anglers loads of practical storage space. The Flambeau Zerust Marine Utility Box. Water resistant O-ring seal; Lift-out tray; Weighs 3 lbs., 3 ozs. Give your tackle a dependable, durable solution! Keep It Or Throw It Back? Many fishermen debate on whether to keep a fish or throw it back. Many want to keep their fish in order to eat it. Others want to keep their biggest catch to put on the wall. Many others fish simply for sport and have no desire to keep the fish and immediately release the fish. In most cases the choice is completely yours, although some restrictions do apply. Some waters are restricted to only catch and release, while others have certain rules to follow. If a fish is pregnant or extremely young, it is best to throw it back. Some species of fish at certain lengths, either too large or too small, must be released as well. The weather in many tropical destinations is often extremely hot and sticky. Rain can last for weeks and even during dry seasons a strong bout of rain can occur, therefore waterproof and easy drying clothing is a good idea. Protection from the sun in the form of hats, sunglasses, and sunscreen are important in most rainforest locations, particularly those where you will be in rivers and lagoons. Cold fronts in many tropical destinations can occur on occasion, although these can be relatively rare. Most areas require that you have a fishing license. Many times children don’t need them. Generally these are just a small certificate that can be bought at any fishing supply or bait store for a small fee that goes towards preserving fishing areas. Check with the local Conservation or Fish and Game Service to find out the rules of your area. 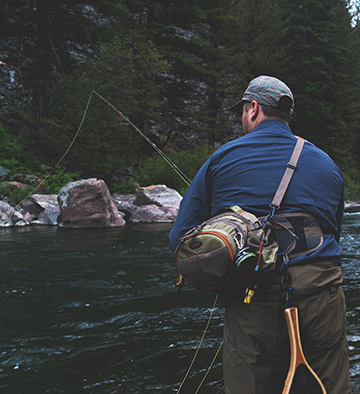 If you plan to fish on private property, remember to ask permission of the property owner. Some locations have protected waters and marine reserves where fishing is illegal in order to allow species to reproduce and to protect rare fish and marine life. Fines are extremely high in most cases. Usually the areas are well marked, but you should check out a local map anyway to be sure. You should not even think about fishing here. Head to an area where the water sparkles and shade trees line the bank. Cast your line into eddies and tranquil pools. Ponds, streams, lakes and creeks all make fantastic places to relax and wait patiently for a fish to take the bait. Then, the fight is on and you experience the thrill of the catch.